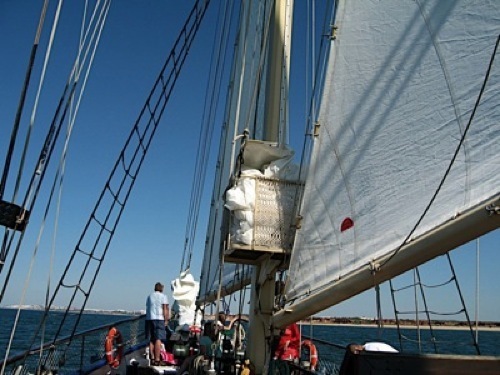 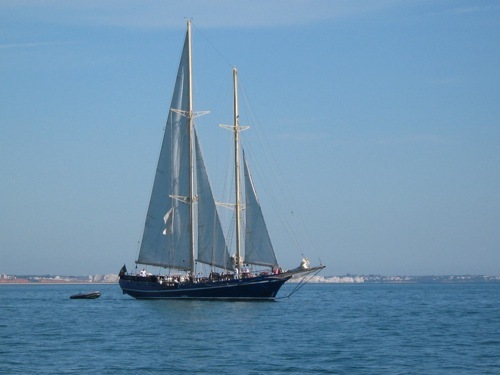 Come sail with us along the extraordinary Algarve coast and experience the pleasures of sailing aboard the Condor de Vilamoura , a truly magnificent 34 meter ship with 2 masts. 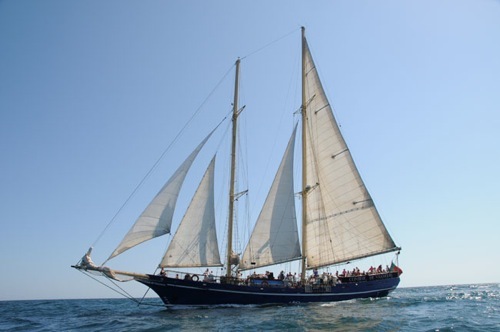 The Condor de Vilamoura is a replica of the American fishing schooners built between 1825 and 1935. 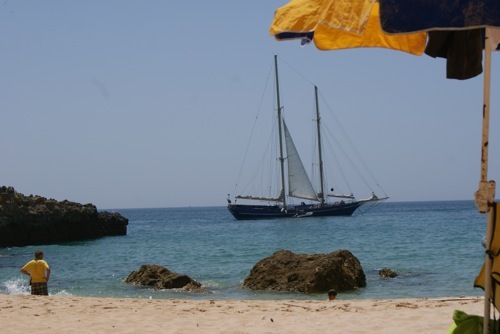 She was built in Portugal in 1987 specifically for tourism. 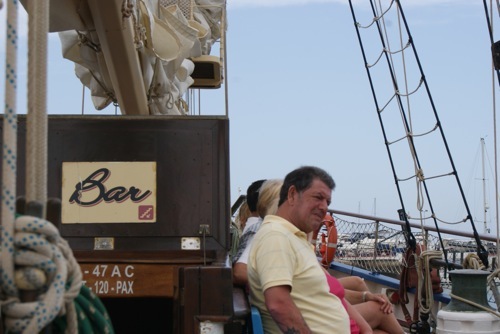 The Condor de Vilamoura is luxuriously equipped with a large air conditioned saloon and bar, and modern navigational and safety equipment. 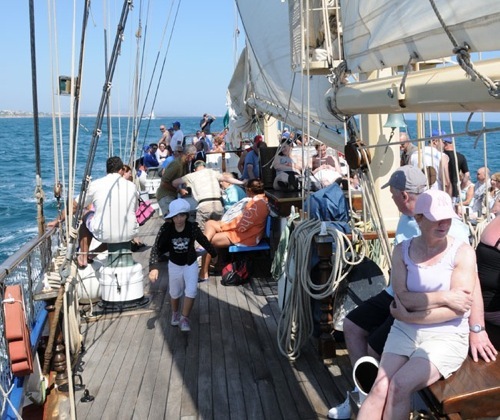 There is plenty of space for sitting on deck or in the bar. 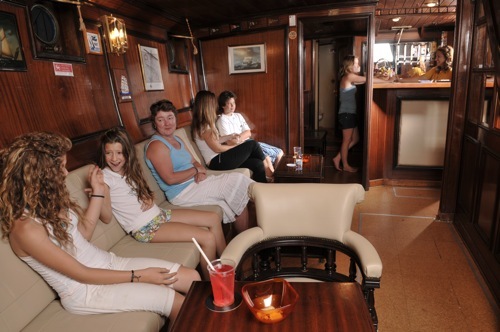 The Condor is ideal for parties and private charters.